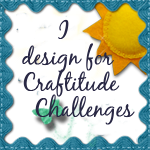 Today's challenge is for Give a Crafter A Cookie. The sponsor is Beccys Place. The cute little frog image was fun to work on. It looks like the frog wants to jump off the card. I used Spectrum Noir markers to color the image and I sponged the blue background with Memento Sky blue ink. I used Silhouette Cameo to cut and print the image. I also used cuttlebug pine embossing folder on the base card. Thanks for stopping by and leaving your comments. I love hearing from you. Stay tuned another 3D project is coming soon. Have a happy crafty day. Lovely flower and love the embossing on the base of the card. Thanks for joining Mema's Crafts. Vibrant and fun colors - those red devilish eyes on the frog must mean he has filled up on the flowers! 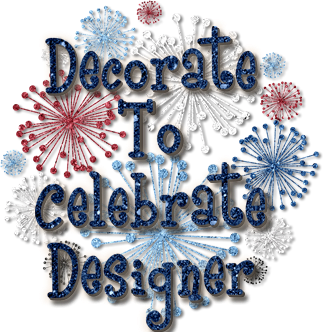 Kitt - thanks for sharing your project & creativity with us at Aud Sentiments! This is so beautiful, love the little frog he made me smile. Thank you so much for sharing your lovely creation with us over on Creative Card Crew. WOW stunning and strong colours! Eye-popping beautiful! Oh, how pretty is this! and fun too. Love that cute little frog and the vibrant pink flower. 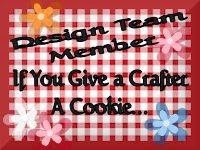 Thank you for playing along with DRS Designs this week! Thank you for joining us at Mema's Crafts; good luck in the challenge. Wow, do I ever love that little green frog on your card!!! Thanks for sharing it on the CCEE Green challenge this week. Hope we see you again next challenge. This is adorable! Thanks for sharing at Craft Your Passion#252. Good Luck. Kitt this is so perfect for our ‘FLOWERS’ theme. Just love the colours and design. Thanks for sharing your talent with us and good luck. Beautiful, thank you for joining us at The Crazy Challenge , hope to see you again and good luck. What a fabulous card. That frog does look like it will jump off. Thanks for joining us at Through the Craft Room Door. A new AG challenge starts tomorrow. I hope you will join us. The colours you used are lovely and vibrant Kitt, and I love the gorgeous green cardstock in the background. The embossing gives the plain cardstock a wonderful texture too. Well done! 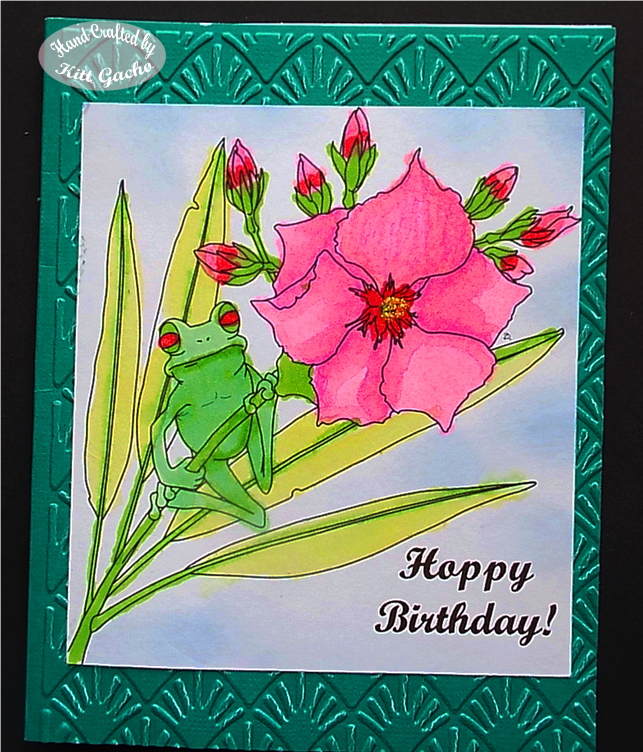 Such a gorgeous card, I love the cute frog and the beautiful flower! Thanks for sharing your creation with us at In the Pink! Beautiful card. Love the pretty flower and the embossed layer. Thanks so much for joining us at Seize the Birthday. I loved this stamp. I need to dig it out. 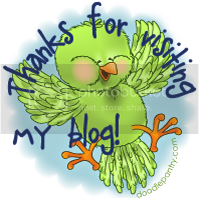 Thank you for playing over at Loves Rubberstamps! Pretty card!!! Thanks so much for participating in our MELONHEADZ AND FRIENDS challenge!! Hope to see you again for our next challenge! !